We got ourselves a 燒鵝脾 Roast Goose Leg (HK$140), 韭菜花鵝紅 Goose Blood Pudding with Chives (HK$55), and a combination platter of 肥燶叉燒 BBQ Pork Belly (Fatty Char Siew) and 脆皮腩仔 Crispy Roast Pork (HK$185). We were a bit surprised at how slim and healthy the goose leg was, haha! We also did not really like that the goose leg was drenched in sauce already. The skin was just alright, but the meat was very tender. The fatty char siew was excellent! It was not overly fatty and we felt that the meat to fat ratio was just nice. Sweet and slightly charred, we loved the texture and taste. 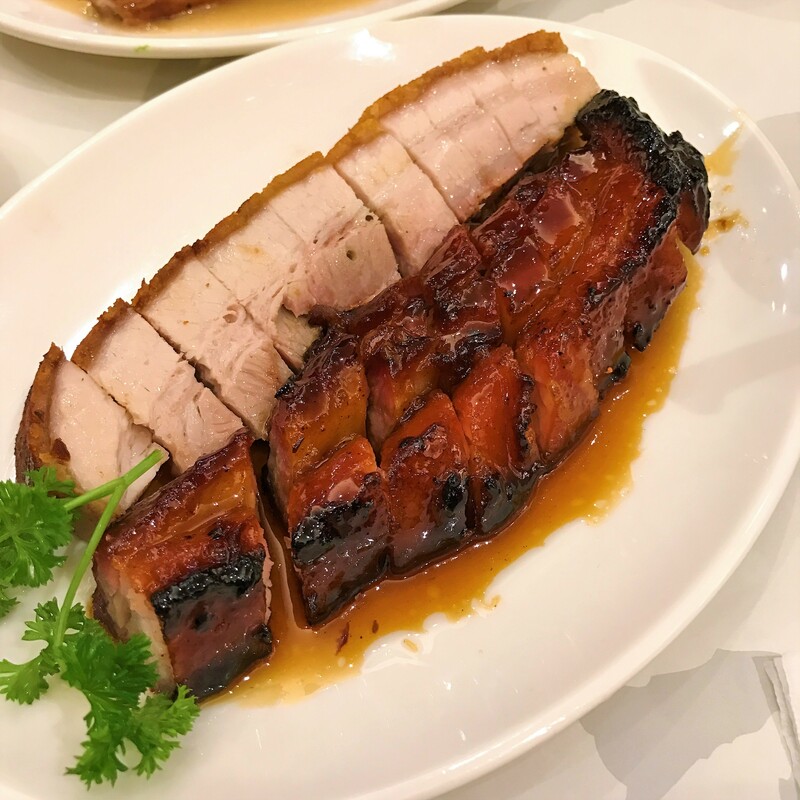 The roast pork was quite crispy, but paled in comparison to the char siew. It was our first time trying out goose blood pudding, and we gotta say that we were totally in love with it! It was very smooth with absolutely no gamey taste to it. 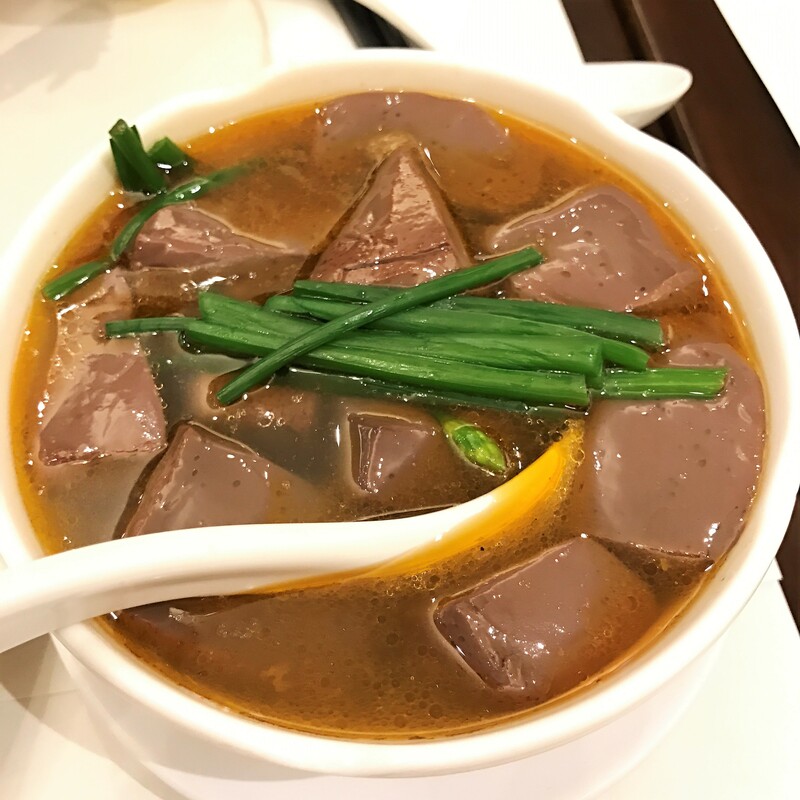 In fact, with such clean taste and melt-in-the-mouth texture, it felt like we were eating beancurd pudding! 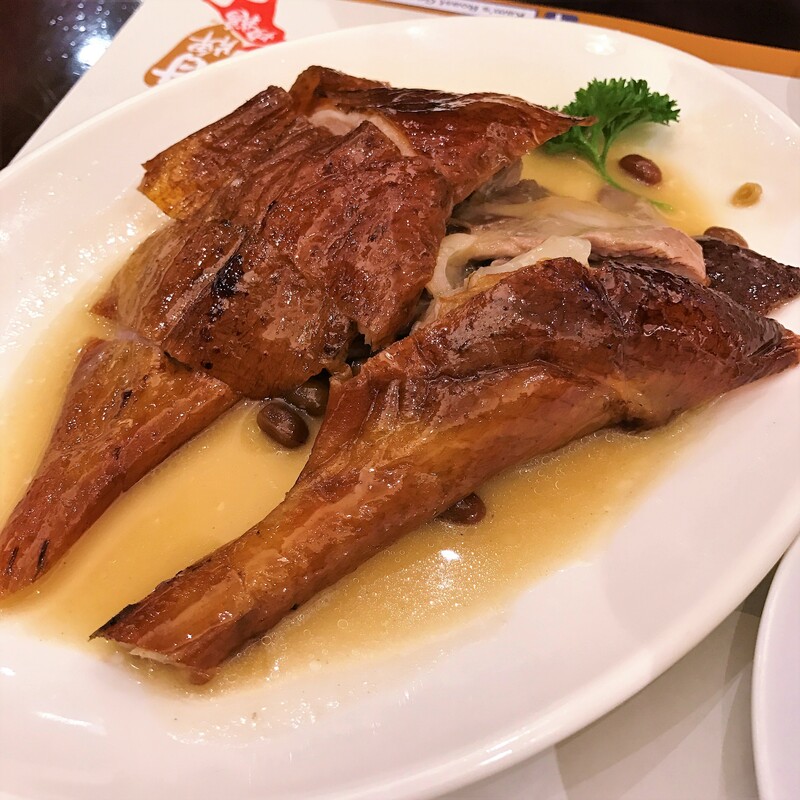 A Singapore couple sitting next to us recommended that we try out 深井陳記燒鵝 Sham Tseng Chan Kee Roasted Goose in New Territories. We also met the gentleman who brought in Kam’s to Singapore. So here is a tip from him, pop over to the Singapore outlet on weekdays 4 to 5pm to avoid queuing! Note: There is an additional 10% service for dine-in after 6pm. Only cash or Octopus Card payment accepted here.